The Rock Dinner Show, an all-new dining entertainment experience, is set to debut in Orlando beginning September 8, 2018. This Vegas-style show will be performed nightly at the Orlando Forum Theatre, located at 6362 International Dr., Orlando, FL 32819. This venue can accommodate up to 300 guests. Look-alike rock and pop artists will entertain guests. They will be performing acts from such icons as Prince, Michael Jackson, Elvis Presley, Katy Perry, Justin Timberlake and others. Additionally, singers, performances by actors, actresses, aerialists, and dancers will also add to the Rock Dinner Show. Their website states, “an all-star cast of legendary performers” will perform “for an unforgettable night that will amaze the senses with energizing music that will transform you to another place and time.” And, “sensational dancing that will captivate your eyes.” While not yet open, somehow, the “electrifying visual effects… have earned The Rock Show a standing ovation each and every time.” Perhaps by the individual performers at other shows? Just a guess…we’re not sure how they can make this claim prior to being opened. As for the dinner portion of the evening, “award-winning cuisine by renowned executive chef Russell T. Booth” will be served. Booth’s recognition is from Hard Rock Cafe. The Rock Dinner Show menu includes the choice of 3 dishes. They are Scallopini of Chicken, Braised Short Rib or Vegan Pasta Primavera. Main entree upgrades are also available adding $9-$10 to your ticket. A dessert made of a chocolate mousse-filled cupcake, topped with a creamy and rich chocolate frosting and chocolate pearls follows the main course. In contrast, the kid’s (3-12) menu consists of Macaroni and Meatballs or a Vegetarian Macaroni, followed by dessert perfect for children: house-made fried vanilla doughnuts tossed in cinnamon and sugar, served in a paper bag. Furthermore, brunch buffets will be offered at the Rock Dinner Show on Saturday and Sunday mornings in addition to the nightly shows. 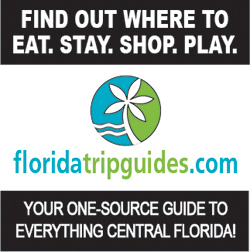 So if you want to get a taste of the food and entertainment, this is a less expensive option to check out this new Orlando dinner show. Tickets for regular adult admission are $64.95. Children tickets (ages 3-12 yrs.) 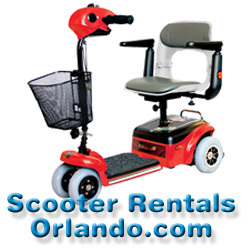 are $39.95 and infants (ages 0-3 yrs.) are free. As with most local dinner shows, upgrades are available which include VIP seating, a concert pass, 1 glass of alcohol (wine, beer or champagne), a photo package and an on-stage meet & greet photo. Tickets for the brunch buffet shows are $29.95 (adult) and $19.95 (child). 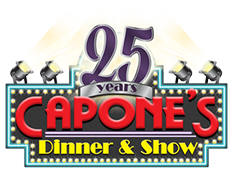 In contrast, Capone’s Dinner & Show includes a large option of beverages with their tickets, including alcoholic beverages. The selection includes mixed drinks, beer, and wine. 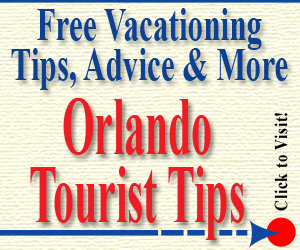 At half the cost of this new Orlando dinner show, it remains the best value! 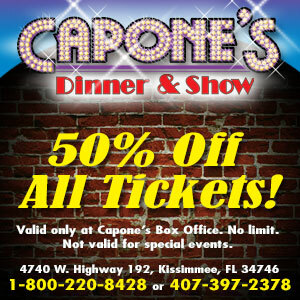 Finally, for more information about the new Rock Dinner Show, call 407-536-7943 or visit www.rockdinnershow.com.